A pool house can make your pool area feel like a resort. With designer touches and sophisticated amenities, pool houses take poolside living to the next level. 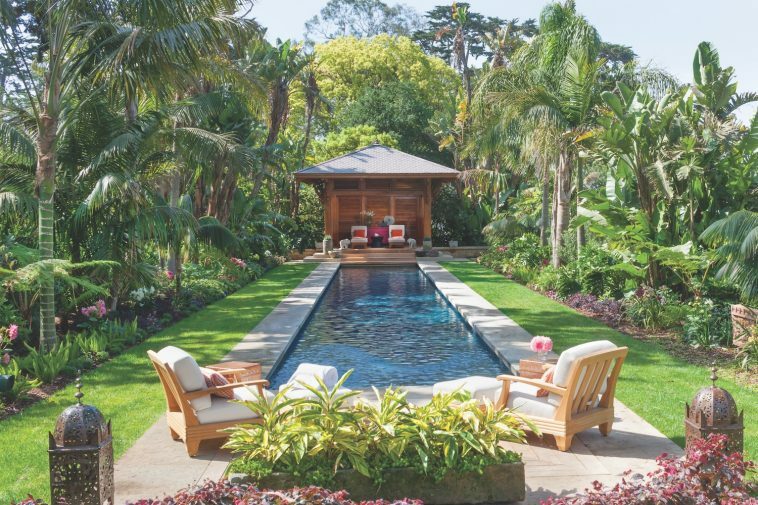 Handcrafted in Bali and reassembled onsite, the reclaimed open-air teak pool pavilion maintains a distinct character from the home’s California millwork. A contemporary Chinese lacquered sideboard and antique Laotian rain drum further encourage an air of exoticism. The lap pool and gardens were envisioned by Stringer and executed by landscape architect Sydney Baumgartner and Village Pool Builders.